This app does not create projects. You create them on your computer using CutList Plus fx for Windows, then transfer projects to the iPad. An interactive browser for CutList Plus project files you've created on your computer. 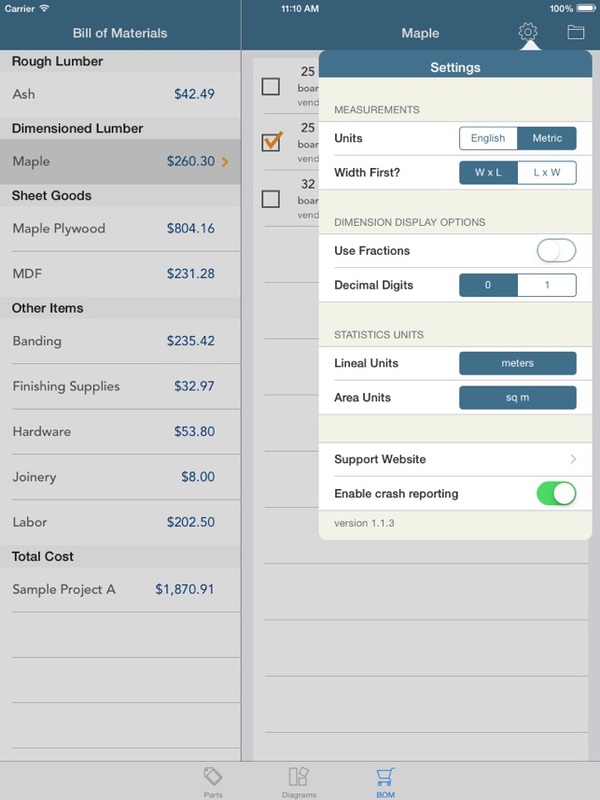 Load your projects on your iPad and take them with you to the workshop or the lumber dealer. 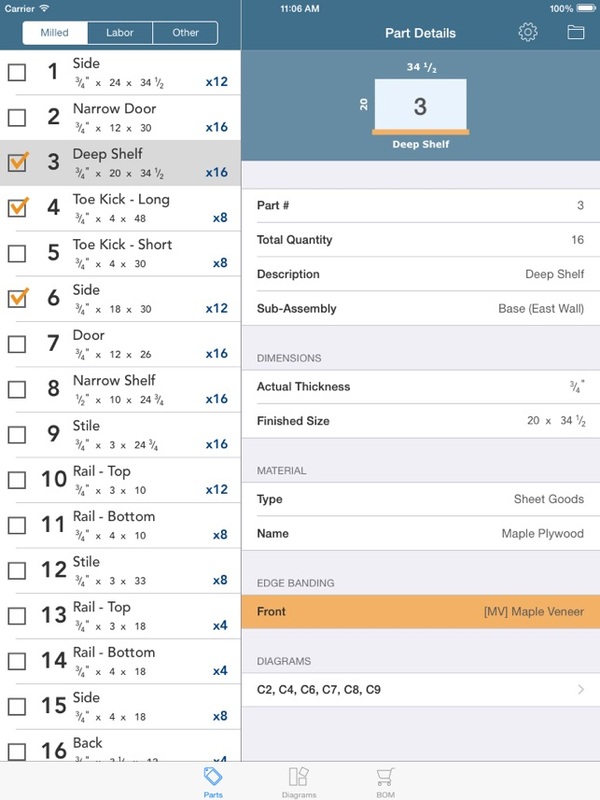 View your parts lists, cutting diagrams and bill of materials in this iPad-optimized app. Keep track of which diagrams have been cut, which materials have been purchased, and which parts are finished. Transfer CutList Plus project files from your computer to your iPad using Dropbox, email or iTunes. 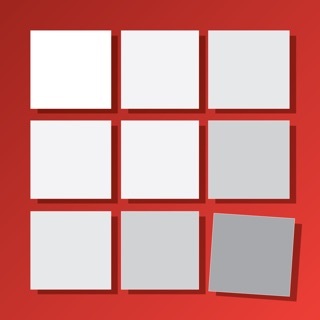 This app is a viewer only; it does not edit or re-optimize projects. It works with files you have created on your computer using CutList Plus fx. 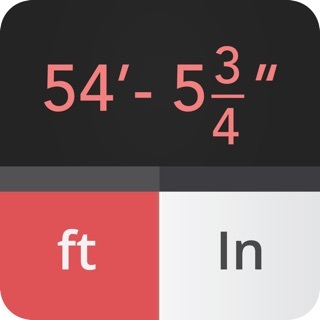 + Adds support for CutList Plus fx 14, including the new automatic cut part tracking feature. Ignore the negative reviews. If you read the description, it clearly illustrates what the limitations of the app are. Of you're not willing to buy the software, then don't buy the app. With that being said, this app is absolutely remarkable and well thought out. The only downfall is that it does not allow any editing. 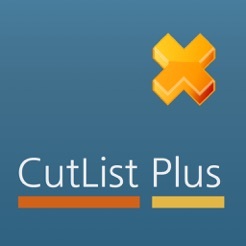 For professionals, The Cutlist Pro Fx software is well worth the price. Just buy it, you won't be disappointed. You have to own Cut List which works on a Windows based PC. 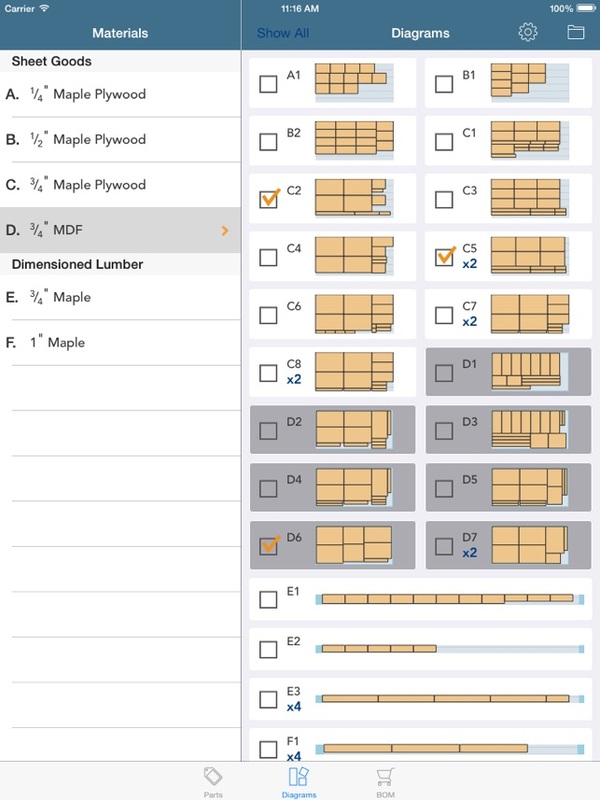 I have used it since 2009 and it really helps organize your lumber needs and helps avoid waste. 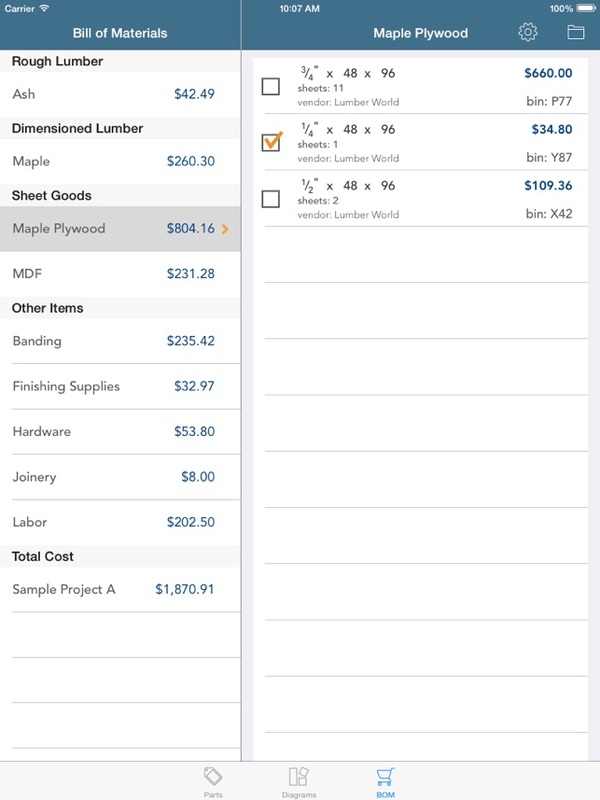 This App let's you take your parts list and board layout to,your shop instead of printing them. Does exactly what they say. Only criticism - it would be nice if they made a MAC version of the software. Cutlist Plus Exec Summary: READ the direction before purchasing. This app is not a standalone. 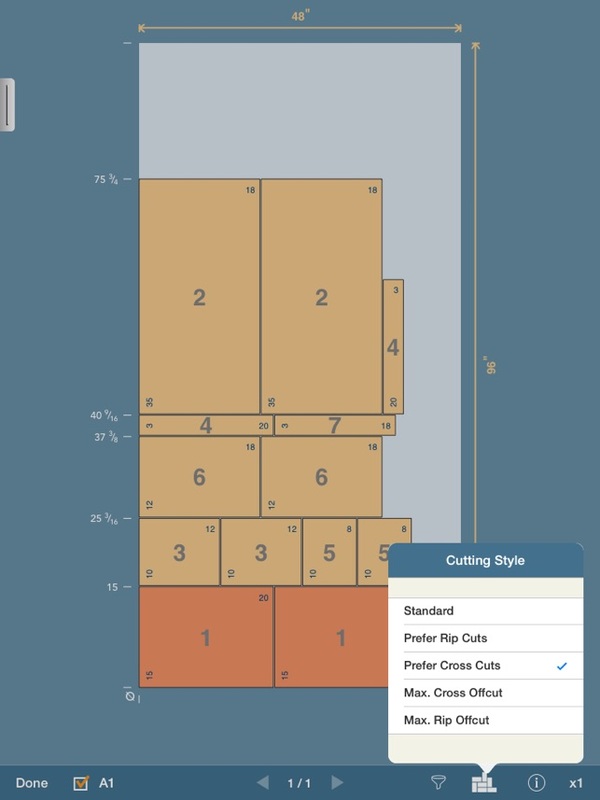 You need to have Cutlist the software on your computer and you can then view projects that you worked on. If you don't have the software, this app is useless. Its clearly in the directions, but I missed that and now I've spent the money for no reason whatsoever. More fool me.